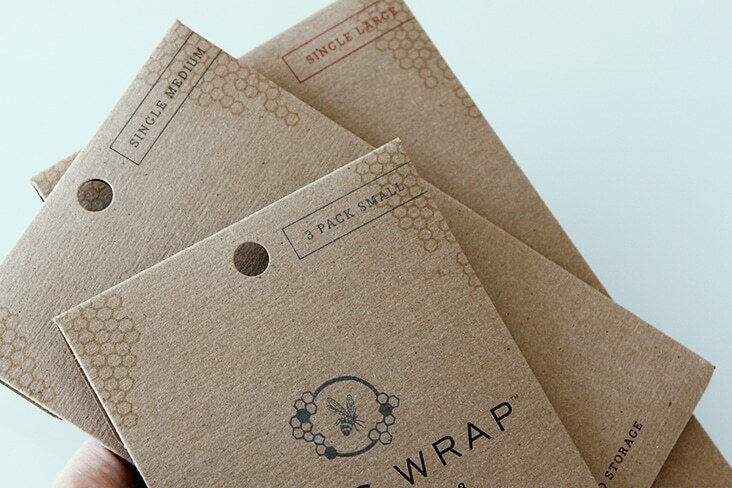 Bees Wrap « Stitch Design Co.
Bee’s Wrap is the new natural alternative to plastic wrap. 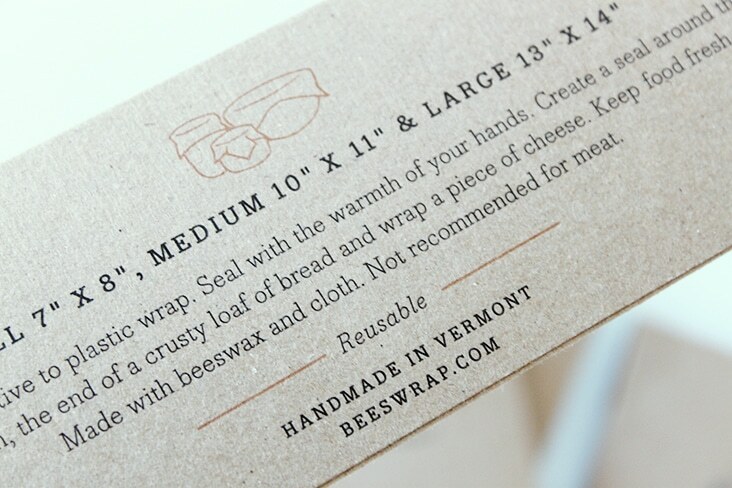 You can simply seal it with the warmth of your hands. 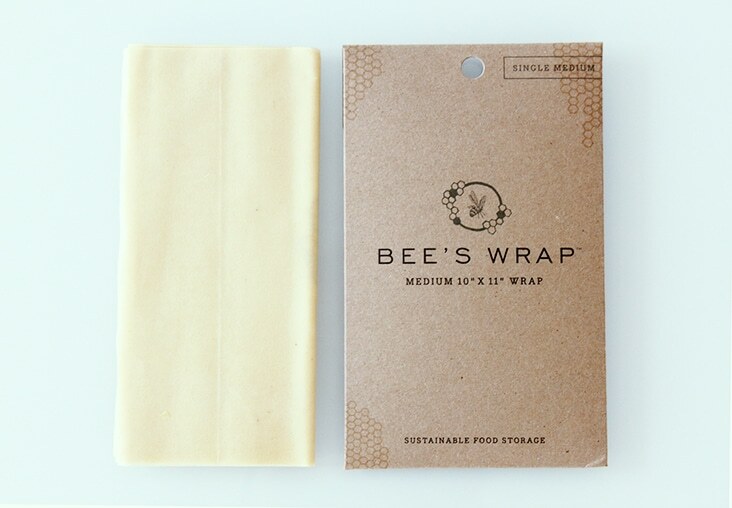 Wrap a sandwich, cheese, half a melon, or cover a bowl. 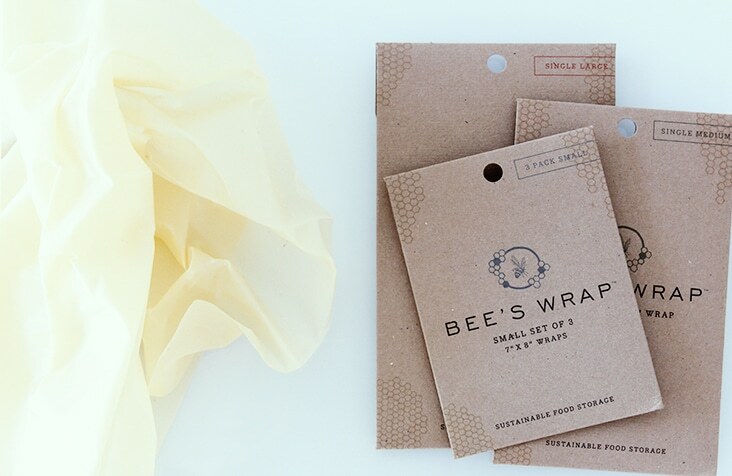 Made with beeswax and cloth, we love the natural simplicity of this product. 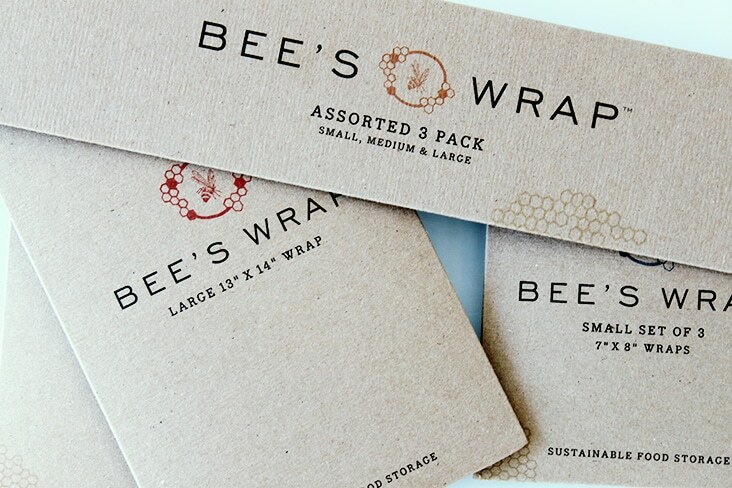 Bee’s Wrap hired us to come up with a packing system that was sustainable (like the product) and more visually appealing to the consumer. 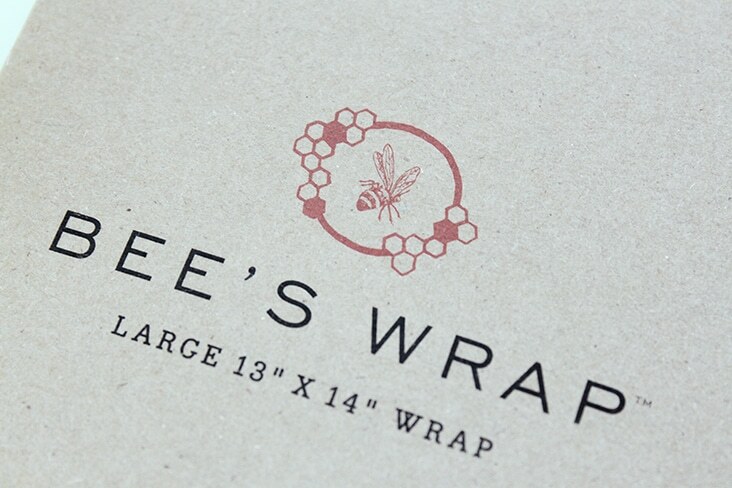 They were also was looking to simplify their labor costs without sacrifice to the visual appeal. 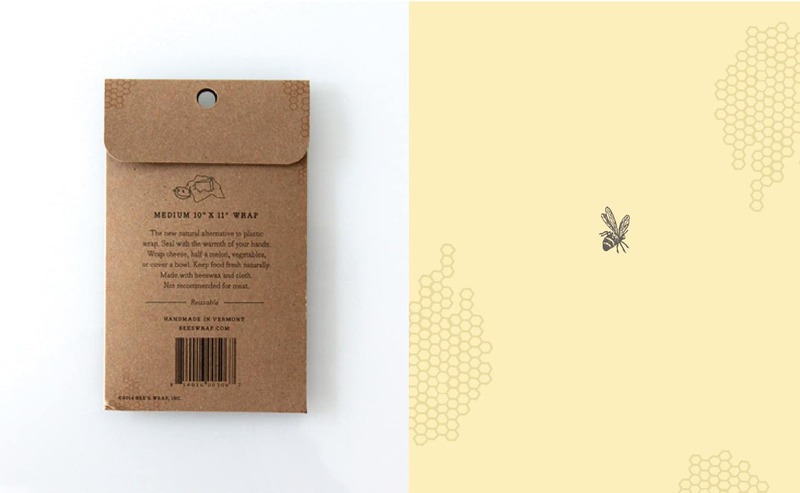 Each available size was printed converted chipboard pouch using a color coding combination of two inks. 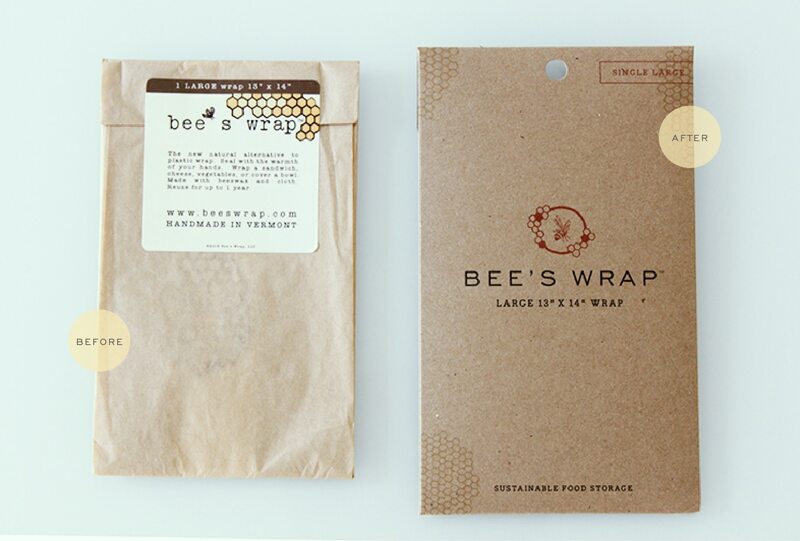 1 Comment > Tags: Bee's Wrap, Food Packaging, Stitch Design Co. 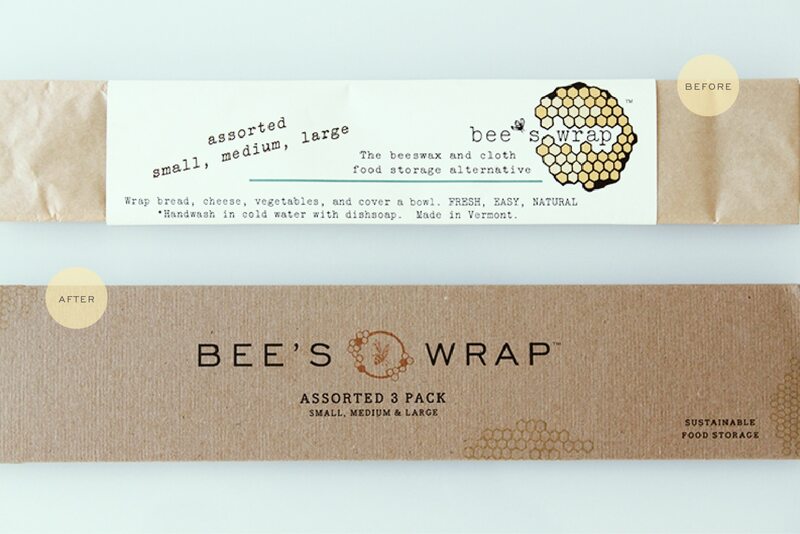 I love the before and after shoot. 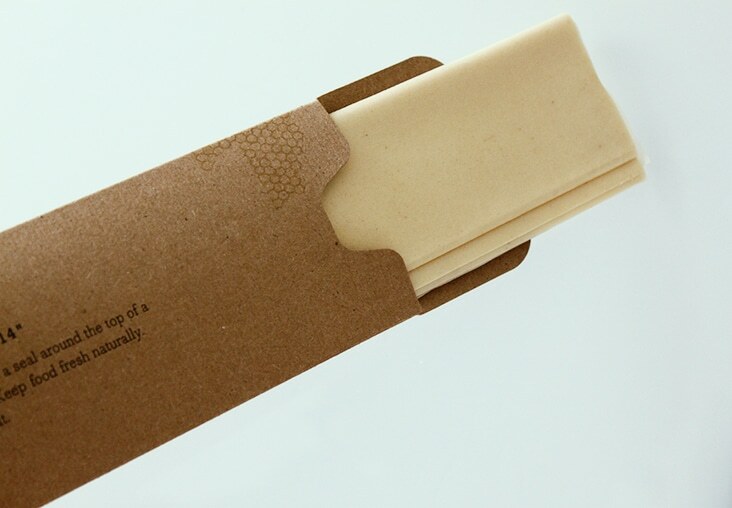 The after is much cleaner and easier to read. 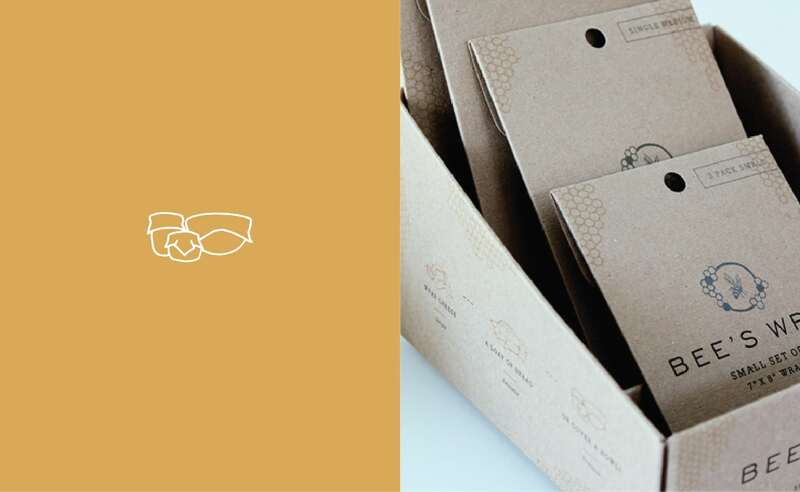 You do great work and I maybe contacting you soon to help me brand my business, GG’s sundries soiree.